Metro Plumbing is here to offer expert, affordable service to you and your family. We understand the importance of your family’s kitchen; it’s the central meeting place in your home. Whether you’re having trouble with your dishwasher, garbage disposal, sink, faucet or water lines, our expert plumbers can help. 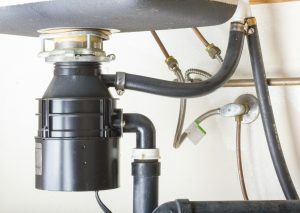 We install Badger garbage disposals for your kitchen sink, give us a call today to discuss pricing options. Call our team at (651)766-8686 to schedule an appointment today!